As you may have noticed, the blog has been on an unanticipated hiatus! 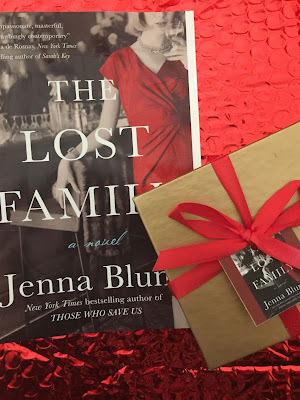 I will share a little more in a separate upcoming post, but I am honored to come back to you while participating in #TheLostFamilySupperClub celebrating Jenna Blum's new novel "The Lost Family." "The Lost Family" is centered around restaurant owner, chef, and Holocaust survivor, Peter Rashkin, who lost his first wife and twin daugthers during World War II. Peter relocated to the United States and eventually opened up Masha's and then the Claremont restaurants. Peter's haunted past not only affects him, but also affects his new wife (June) and daughter (Elsbeth) in which the novel details each of their struggles which are all connected to Peter and his past. When trying to decide on what to make, I wanted something that Peter may serve in his restaurants that either would be a nod to his German heritage or something to reflect what folks would serve when entertaining company. Looking at the Masha's menus, I was drawn towards Masha's Torte which was an inside-out German chocolate cake but decided against it because chocolate cakes are really finicky in New Mexico's high altitude. Then I settled on and originally made an apple riesling cake, which was a great idea but it failed miserably. So I opened my grandmother's first edition copy of "Betty Crocker's Picture Cook Book" which was published around the time of Masha's. (Ironically, "Betty Crocker's New Picture Cook Book" was also quoted in Jenna's novel.) 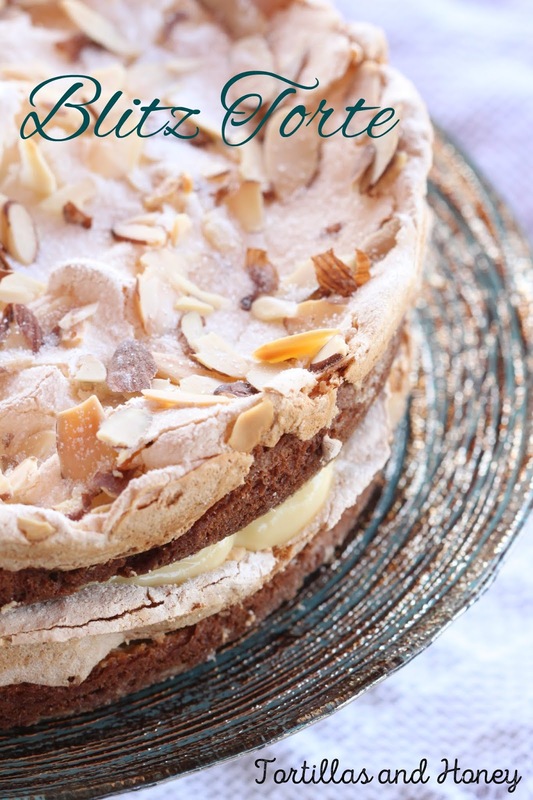 I found a recipe for Blitz Torte or Lightning Cake which, when researching, is believed to originate from Germany or Austria and also become popular due to the very cookbook where I got the recipe! This was the recipe to make for this book! As soon as the cake came out of the oven, I knew this recipe was going to be divine and I had made the right choice. The cake layers were thin with a beautiful meringue layer on top with a luscious custard layer in the middle.. The cake is relatively easy to make and everything is made from scratch. The cake batter only takes minutes to prepare while the meringue takes a little longer but is extremely worth the extra effort. While the cake bakes and cools, you can make your custard, and when everything is assembled and complete, you have a cake that shines which Peter would be proud to serve in his restaurants. Please try out this cake whether you want to impress yourself or others! 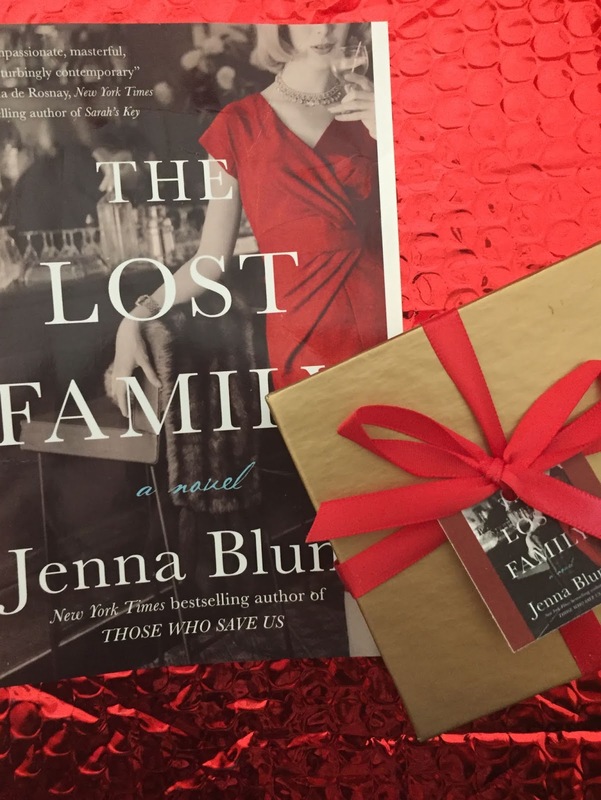 And please check out Jenna's The Lost Family and #TheLostFamilySupperClub to see what other bloggers are contributing for her novel! Prepare two 8-inch cake pans, by greasing bottom of pans, lining each bottom with parchment paper, then greasing and flouring the parchment and sides of the pan. Mix the shortening and powdered sugar together thoroughly in a large bowl, then beat in the egg yolks. Sift in the flour, baking powder, and salt. Stir in the milk until incorporated. Split the batter between the two prepared cake pans, and set aside. The batter should be very thick. Spread half the meringue over batter in each of the pans. Sprinkle the almonds and granulated sugar equally over the meringues. Bake 35-40 minutes until the meringue is set and the cake is cooked. Set aside to cool completely. While the cakes bake and cool, make the custard. In a medium saucepan, mix together sugar, salt, and flour. Stir in milk and cook over low heat until mixture comes to a boil, and boil for one minute. Remove from heat. Stir in about 1/4 cup of the custard into the beaten egg yolks and stir well. Mix the egg mixture back into the custard and bring custard back to a boil. Remove from heat again, add vanilla, and cool completely. Carefully remove one of the cakes from its pan, making sure to remove the parchment paper, and place it meringue side-up on a cake plate. Spread the custard evenly over the bottom layer of the cake. Then carefully remove the second cake from its pan, making sure to remove the parchment paper, and place it meringue side-up on top of the bottom cake layer and custard layer. Place in fridge until ready to serve.